The journey to establish Valentia Island, Co. Kerry as a UNESCO World Heritage site has been a long one. Its significance as one of the birthplaces of digital communications may soon grant the island the coveted status thanks to its transatlantic cable station. 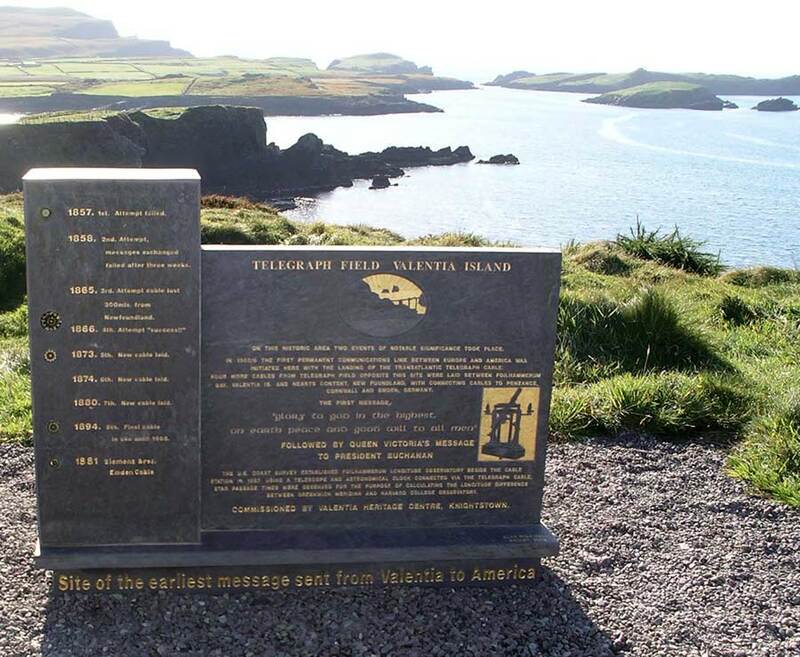 The 3,000 kilometre cable which stretches from Valentia Island to Heart’s Content in Newfoundland, Canada enabled Europe and the United States of america to communicate directly with each other. The first communications took place in 1866 after four attempts by American millionaire Cyrus Field to set up the cable. The station remained in operation until its closure in 1966. Ireland has remained an international centre for communications with the likes of Google, Facebook and Ebay all having their headquarters here. Although recognised for its modern contributions to trade, tech and communications Ireland’s history as a global hub for communications should not be forgotten and the World Heritage site bid may be the key to ensuring the preservation of this history. Though the station may have been closed by Western Union over fifty years ago Cyrus Fair’s descendants and others have campaigned for the recognition of the station as a site of great historical, cultural and technological importance. Cyrus Field IV is the great-great-great grandson of Cyrus Field and one of the people spearheading the campaign alongside his wife Stephanie Buffum, Trinity College Dublin’s Leonard Hobbs and New Zealand lawyer Al Gillespie. The economic potential of such a campaign would be of great benefit both locally and nationally. Al Gillespie said: “When people think about the industrial revolution, they think about factories. But when it comes to telecoms, Valentia Island was at the heart of the international telecoms revolution.” Locals on Valentia Island have maintained the cable station as a tourist attraction and with Valentia already a popular spot in the south of Ireland a UNESCO site will only add to the area’s success. Most recently the station’s importance has been recognised by some of Ireland’s important political figures. Brendan Griffin Minister for Transport, Tourism and Sport recently discussed a possible joint UNESCO World Heritage site application with Valentia Island and Heart’s Content in Canada which included a visit to both sites. 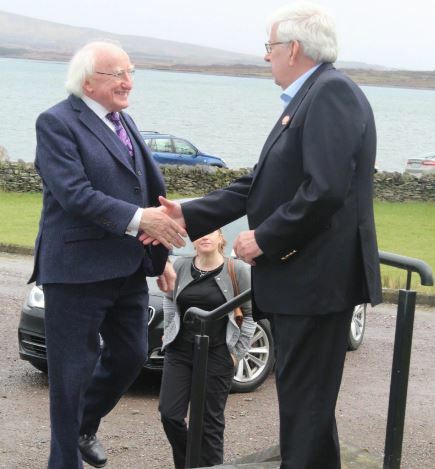 Even more impressive was a visit to Valentia Island by President of Ireland Michael D. Higgins. President Higgins has long been a promoter of areas of cultural and historical significance. His visit to Valentia Island in recent weeks highlighted the significance and importance of the cable station’s place in Irish history. His visit also served to acknowledge the island’s contributions to both culture and technology. In a speech during his visit President Higgins paid tribute to the endurance of those that set up both cable and station. “It had after all been regarded as a technologically impossible and not to be recommended task by no less than Samuel Morse,” he said in his speech on the island of Valentia. The President expressed his hope that the cable station would be recognised as a UNESCO World Heritage site in the coming years. He described it as one of the most important sites in the world in terms of modern telecommunications. The President said he was “very much in favour” of Valentia’s cable station becoming one of Ireland’s most recognisable sites in the near future. The journey to recognise Valentia Island’s cable station as a World Heritage site by UNESCO has been a slow one. Significant milestones have been achieved however as seen in both the Presidential visit and the political will manifested by the likes of Brendan Griffin. The Department of Culture, Heritage and the Gaeltacht is not due to update its list of potential Irish World Heritage sites until 2020 but the support of various people and companies such as President Higgins, IDA Ireland and BT have have certainly communicated a strong incentive to see the cable station on Valentia become one of Ireland’s most culturally and technologically important sites. Previous ArticleCan Governance Dashboards be a useful tool to understand cities?